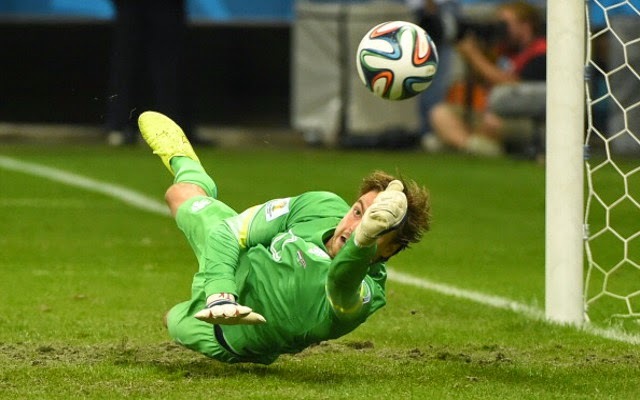 Following on from our popular reviews of early rounds, Marcel Sigg from Run Ride Dive put together this piece for us on the Quarter Finals of the FIFA World Cup. The FIFA World Cup Quarter Finals are behind us and just a few things stand out from the four games. 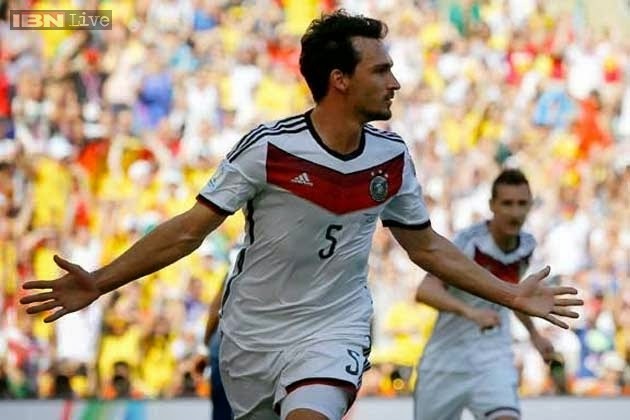 Germany played France in the Maracana on Friday’s early game. A game that never really reached the highs expected of a clash between two of the European form teams. Most likely the heat stopped this match from being a memorable clash between two of Europe’s top teams. Neuer picked up where he left off against Mexico with a top notch performance in goal but in truth he wasn’t really tested thoroughly. Hummels scored a header early in the first half and Germany briefly threatened to run away with matters but could not add to their score. With 20 minutes to go France went all out to get a goal by pulling Cabaye off for Loic Remy. By the end of the game France had more shots on goal and more on target but could not break their duck. 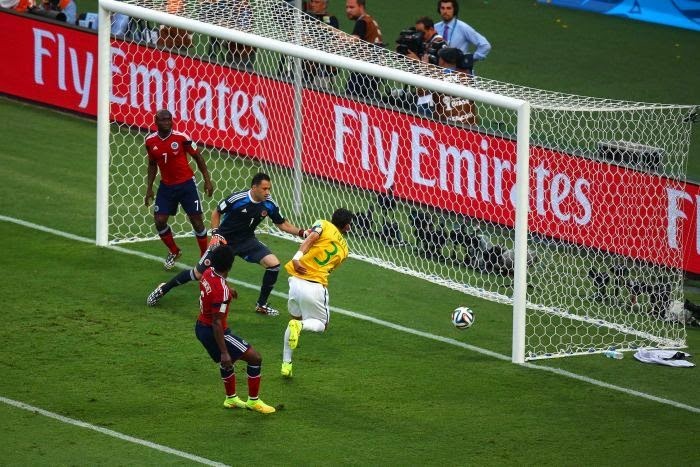 The second match was the highly anticipated clash between Colombia and Brazil. Brazil have been on the receiving end of some criticism about lack of creativity and, more specifically, I have called them a one man team in previous matches. The problem for Brazil going forward is that one man is out of the World Cup. 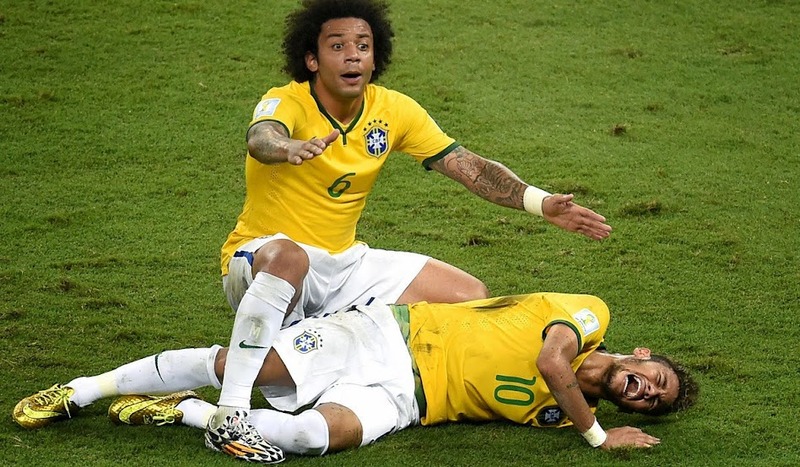 Neymar received an unfortunate knee to the lower back at the end second half from Zuniga and was immediately taken to hospital, a fractured vertebra the scan said. He will be out for several weeks. Further bad news as Willian was taken for a check-up with a back strain from training on Sunday. Many had suggested Colombia would be able to upset the hosts with their fast paced game. Brazil were having none of it and starter the stronger team. Thiago Silva scored a soft goal in the first half and David Luiz scored a thundering free kick in the second to emphasize their dominance. Brazil’s strategy was to keep James Rodriguez quiet, to mark him out of the game and prevent him getting a shot on target. The strategy worked but for a penalty conceded in the 80th minute which Rodriguez calmly put away to net his 6th goal of the tournament. 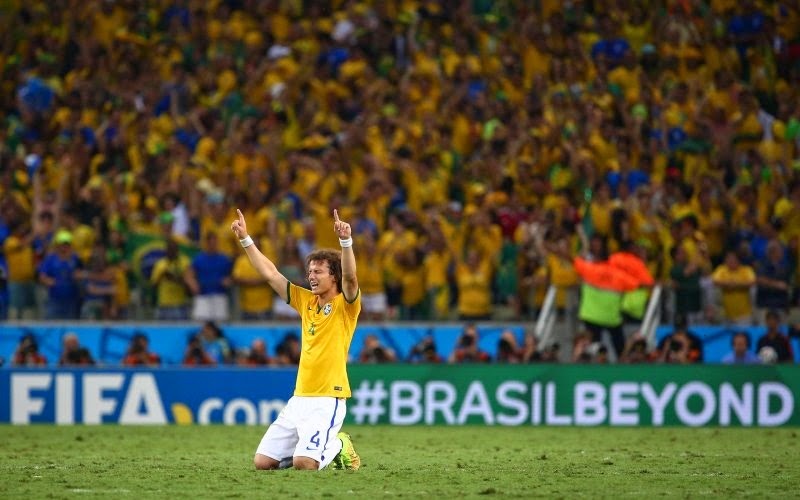 The last 10 minutes were frenetic but Brazil walked away deserved winners. The hosts finally showing the skills and determination needed to be a worthy possible champion. Next up, Germany. Will they be able to stifle the far more dynamic Germans without their own talisman? I predict Germany to make the final. Day two of the quarters started with a dull game between Argentina and Belgium. The commentator nearly put me to sleep with his negative comments about the lack of action long before the lack of clear chances sank in. To be fair to Argentina Higuain put away a cracker with a swivelling volley from the edge of the area and their creative wizard Di Maria went off with a thigh injury. 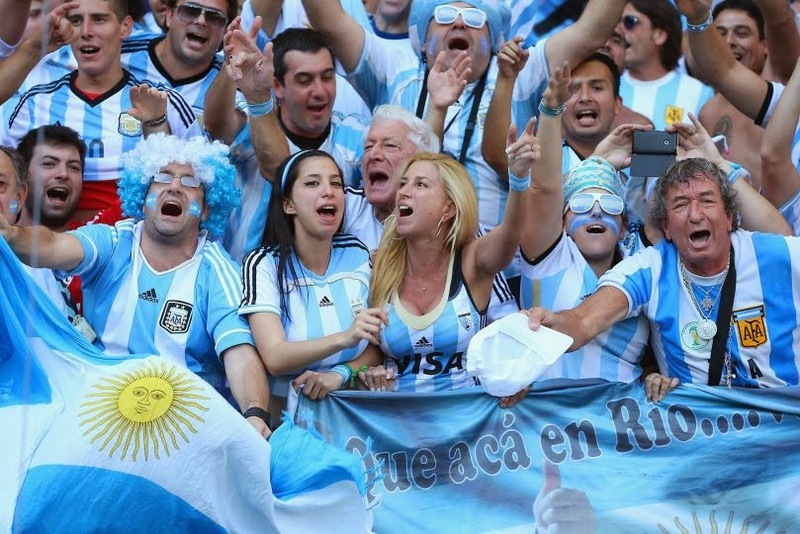 A definite worry for the South Americans for the upcoming semi-final. Messi was largely ineffective yet again in a tournament where he has failed to impress in most games, even when he has scored the only goal or made a vital assist his involvement can at best be described as limited. The battle for world’s best player is no closer to being resolved between Ronaldo and Messi with Ronaldo’s performances hampered by injury and Messi just not looking himself yet despite equalling Maradonna’s record of World Cup appearances he is nowhere near the old ‘hand of God’ in terms of World Cup performances. Match 4 was supposed to be the easy game, 2010 finalists Holland versus new kids Costa Rica. The theory is easy, keep influential captain Bryan Ruiz quiet and you’ll go through. The Netherlands did just that but the 120 goalless minutes between kick-off and penalties can easily go down as the best game of the knockout rounds so far. Costa Rica had a simple plan, absorb the pressure then counter on a quick break. I was somewhat disappointed to see Joel Campbell removed with half an hour of regulation time to go but the introduction of Urena added a new dimension to Costa Rica’s attack. His pace was refreshing as the legs tired on both sides. Sneijder, who I had suggested was playing well below his own ability until he scored against Mexico, hit the woodwork twice. Once with a tremendous free kick in regulation time and then with a powerful shot than cannoned off the crossbar in the second period of extra time. Van Gaal had some tricks up his sleeve though despite his team firing in 20 shots, 15 on target but could not force a goal in open play. Navas was exceptional! At half-time in extra time Van Gaal introduced Huntelaar for Bruno Martins. Netherlands now had 4 strikers on the field with only 2 dedicated defenders, a bold move indeed. The game opened up immediately. Holland were still pressing and creating chances Navas was palming away but at the other end, Cillessen was now also being called upon to keep the Dutch in the game. The camera caught Krul warming up with one of the coaches and questions were raised about the fitness of Cillessen but nothing quite so sinister was on the cards. Instead Van Gaal had an eye on the clock and thought Krul would be a better penalty saving option should the game go to penalty kicks. A 120th minute substitution to get Krul on proved to be a stroke of genius. Costa Rica won the toss and took the first kick, Borges beat Krul low to his left. Bryan Ruiz could not beat Krul as the big Dutchman blocked his shot. Gonzales and Bolanos both managed to beat Krul narrowly. The Dutch had scored convincingly with Van Persie, Robben, Sneijder & Kuyt when Umana stepped up in a do or die situation. 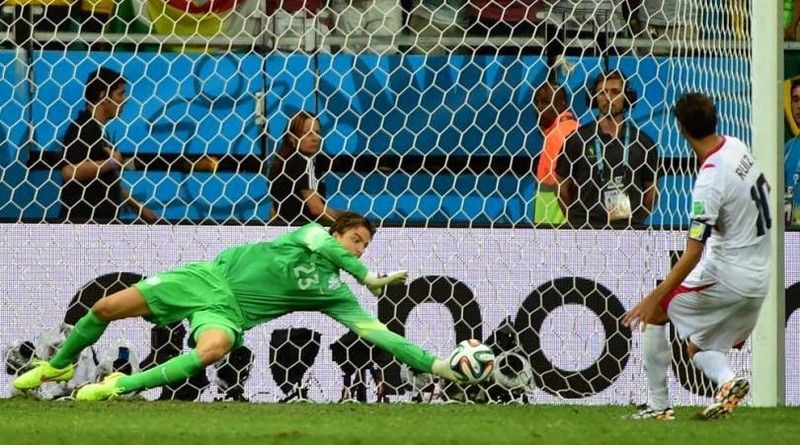 A nation of 4 million held their collective breath as he ran up to shoot and in milli-seconds their dreams were shattered as Krul dived to his left and palmed the shot around the post. 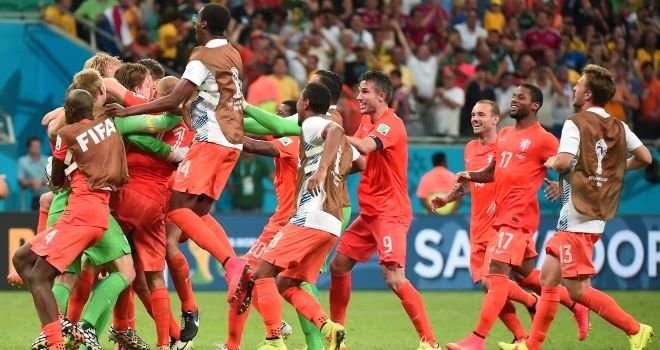 Netherlands through to the semi! Still dumbfounded by how that sub is being dubbed as ‘stroke of genius’.